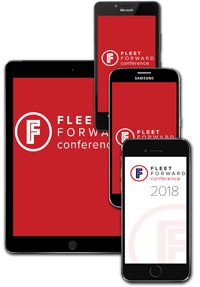 2019 Fleet Forward Conference Mobile App Coming SooN! Get access to the full schedule, speaker biographies, and sponsor information all in the palm of your hand. The app is also the only place you’ll find EXCLUSIVE CONTENT and special functions. Set Private Meetings with Attendees and Exhibitors! You'll have to first create a personal profile! Open the app and select "Meeting Request"- it's THAT EASY! For Mobile App Sponsorship Opportunities click here or contact Joni Owens at [email protected] and (310) 533-2530.